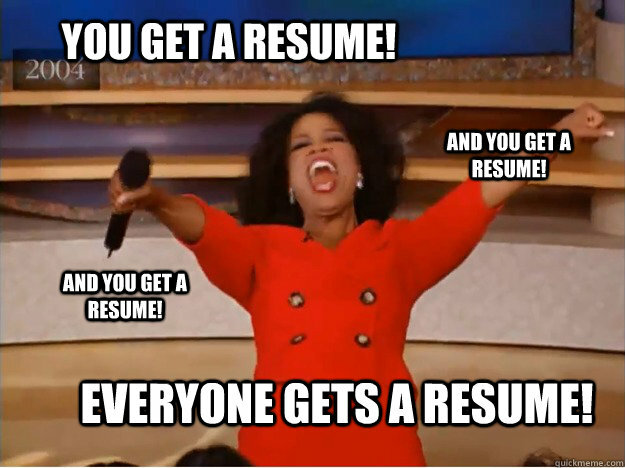 Have No Fear, Resume Tips Are Here! It is that time where many of us are either beginning to apply to graduate school, medical school, a job, etc.! Many of us may need to start working on our resumes whether it is for a job, an internship, applying to a school, etc. Now what is the function of a resume you may ask? It is a concise summary of your education, work/volunteer/internship experiences and other qualifications relevant to your audience’s needs. 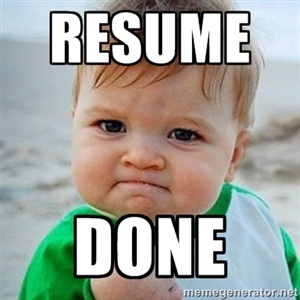 Employers use resumes as a first impression and will use it to compare you to other candidates. NOTE: a good resume does not guarantee you a job, it just allows you to be considered. A resume demonstrates the skills and capabilities that the reader would value and it is essential for you to demonstrate your abilities and is showcases a sense of direction in your career. It is recommended to format chronologically so that the reader is able to see organization qualities as well as being able to follow your experience. Aim to fit your resume on 1 page – unless you have more experiences that are relevant to the job, you should limit it to one page because it is a general overview of your skills and capabilities. 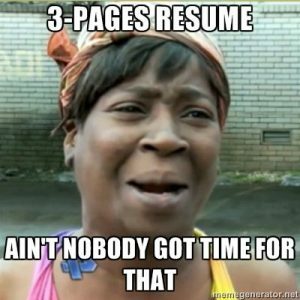 Use CAPS, bolding, underlining, bullets, and indentation to direct the reader’s attention and separate different sections of the resume. Do NOT use graphics or unusual fonts and colors to “dress up” your resume. It doesn’t look professional and you need to limit your space as well because you only have 1 page remember. Use margins between 0.5″ – 1.0″ which leaves enough blank space on the page so that the document is comfortable to read and enough margin to allow for different viewing software and printers. It would be better to save your file as a pdf before submitting electronically so that it preserves the format. “Objective” statements are often considered awkward, obsolete, or unnecessary. If you use a summary statement, make sure that your experiences live up to that statement. List experiences in reverse-chronological order. Show the name of the organization, your title, and dates of involvement. Use bulleted phrases to describe each experience which should demonstrate skills and capabilities – consider how your experiences demonstrate core work skills (communication/interpersonal skills, organization/time management/leadership, analytical/problem solving skills. This can also include technology or soft ware skills that are relevant to your career. Hopefully this helps many of you! 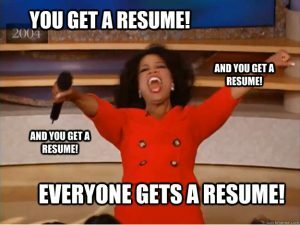 If you need additional guidance, refer to Loyola’s Career Development Center – they have many available resources, including sample resumes/cover letters!